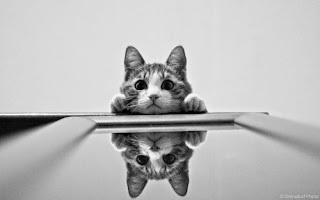 Looking at your reflection in the water (on a calm day), or even in the mirror, can be very telling. We can notice things that may surprise us - more wrinkles, less hair, more grey hair, dark rings under the eyes, shining teeth, sparkling eyes, stubble, clean shaven - the list is endless. However the real test is that sometimes our outward reflection can reveal the state of our heart. That is scary. Have you ever had someone come up to you and say, "what's wrong?" The question catches you by surprise, but you realise that people have seen beyond the facade. In the end, Jesus was able to tell what was happening in Judas' heart. Judas managed to cover it up for the rest of the disciples, but Jesus could see right through his mask. This Holy Week I urge us all to take a deep look into our hearts - what is being reflected there? Are there some things that need some changing? When we are promised something it can fill us with hope. Even if we have been let down in the past there is a unique optimism in most of us human beings. Promises fill us with the hope of a better tomorrow. They give us the courage to carry on and remind us that God does take note of us. ul words of Promise. I offer them to us, especially in the context of the death and resurrection of Jesus. 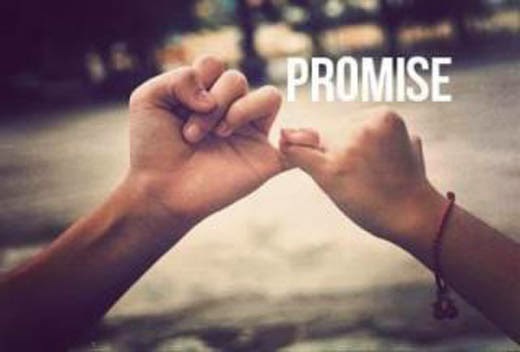 and you will fulfil your vows. Which verse offers you the most courage and strength today. Read it again and let those words be your prayer today. Shalom. You make a wrong decision that appears disastrous, but leads to something surprising. You run late for work, which makes you frustrated, only to discover you missed an accident by a two minutes. There is an illness in the family that leads to a greater sense of love and unity in the family - it brings everyone together like never before. You have your phone stolen and the insurance company pays you out for a new one. A relationship comes to an end, but then you discover a whole lot about yourself? You have to endure another evening of load shedding, only to enjoy quality time with the family. It seems as though Jesus has been killed on the cross, but 3 days later He rolls back the stone and conquers death. I love the way that St Paul remind us that God always brings purpose out of our problems. Does the devil make work for idle hands? That is the big question for today..... Please answer the question before you carry on reading the blog. Is it YES or is it NO?! Ecclesiastes 10:18 - "Laziness leads to a sagging roof; idleness leads to a leaky house." So, in the end, what usually happens is that we disobey the commandment of God, in favour of the lie of the world. 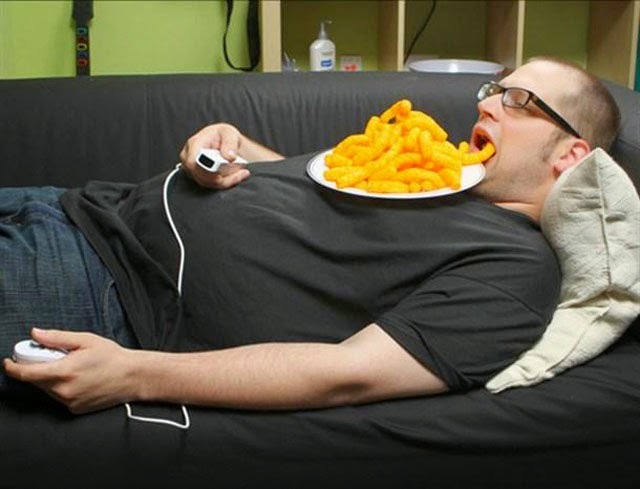 The world urges us to be busy and we fall into the trap. I would go so far as to suggest that the devil is operating on both ends of the spectrum. He loves it when we are 'idle' because he will make work for us, but the devil delights in our busyness too. When we are so consumed by our work and get caught up in the rush of things, we have less time for Jesus. Either way the devil makes it hard for us. I urge us all to be aware of his cunning plan. This Easter period, why don't you wrestle with finding the balance in life. Productivity and Sabbath rest. God honours both of these! As a father and pastor I have the great responsibility of directing my children and congregation onto the paths of God. It is not as easy as it may seem. We all have our own ideas and personalities (myself included) and so there comes a time when you have to show the WAY and then let people decide for themselves. Of course it is equally important to keep walking the right PATH so that others may see that you still believe you chose correctly. 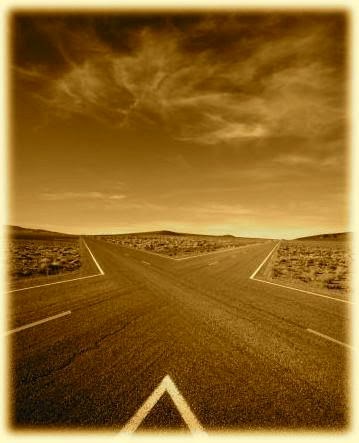 The treacherous road always seems to appeal in the beginning, but soon one comes to realise that it is the wrong road. The thorns cut deeply into our souls and we are left ruing our wrong choices. As we journey towards the Cross and empty Tomb, can I urge us to evaluate which path we are on. Does your road lead to peace, hope and grace? If not, then perhaps you are on the wrong road. I was listening to 'Beat the Bank' on East Coast Radio this morning. It is a show where you get an opportunity to open 15 'bank vaults' - each one has a monetary prize inside, but there are some vaults that trigger an alarm system and you lose all your money. It is a game of chance and the more vaults you open the more money you stand to win - and also to lose. Anyway, I was so impressed with one of the contestants this morning, because after she had won a certain amount of cash, she said, "I have enough thanks" and she walked away with the prize. She could have chanced her arm for another chance, but she was content with what she had. This is an admirable trait to have. 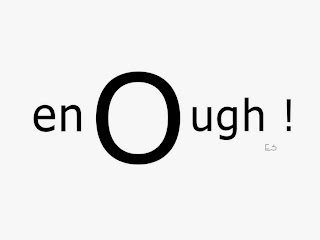 Often we think we need more! We are NOT content with what we have and so we desire more and more, until eventually our greed destroys us. "Don't wear yourself out trying to get rich. Expect the bump in the road! 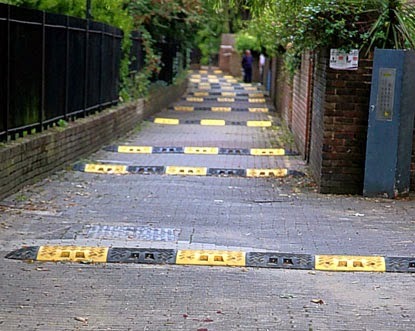 So yesterday I blogged about the new speed hump outside our church. I can sit in my office and hear the people hit the bump at a ferocious speed - that is despite us putting bright orange cones on the road, as we wait for the municipality to paint the bump. Anyway, it has got me thinking about the many 'bumps' that appear on the roads of life. More often than not they surprise us - they come with no warning what so ever and we have to deal with the after effects of the shock. As Christ-followers we need to be prepared for these bumps in the road - they are there and we need to keep our eyes open. And even if we are caught unawares then I urge us to hold on and ride out the impact. 1 Thessalonians 3:4 - Even while we were with you, we warned you that troubles would soon come—and they did, as you well know. 2 Corinthians 4:17 - For our present troubles are small and won’t last very long. Yet they produce for us a glory that vastly outweighs them and will last forever! The local municipality have finally built a speed bump on the main road outside our Church entrance. It is about time as people use this road as a race track most days. I think we have been asking the authorities for this "hump" for around 9 years now - better late than never I suppose. What has been fascinating to note is that the white lines haven't been painted on the bump as yet (they are waiting for the tar to set first) and so people are hitting the bump at their usual speed! Needless to say there have been lots of surprised drivers heading along Cleland road and I am sure there has been a fair amount of cursing too! But here is the thing. There are clearly marked SIGNS on either side of the bumps, warning people of the new bumps. In fact, the SIGNS were put up over a week ago, preparing people for this new change, but people have ignored the signs. 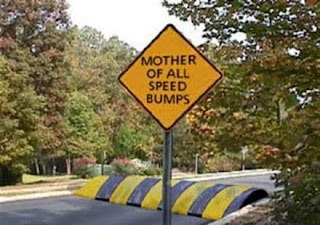 It is only as they have hit the speed bumps at some speed, that they take note of the signs. People are people. We are all the same...the signs are there for our protection and to help us out, but when we choose to ignore them, we land up with whiplash! So, what signs are you ignoring today? What is happening in your spiritual life that is acting as a warning sign? What is happening in your family that is shouting "Take Note" or what signs are you seeing at work or at school? Please can I urge us all to take note of the signs that God places before us. They are not signs to be a "kill joy" but rather to protect us and prosper us. As we near Holy Week, Jesus fulfilled many of the signs of the prophets, but the people chose to ignore the signs. John 12:27 - "But despite all the miraculous signs Jesus had done, most of the people still did not believe in him." Let's not do the same. 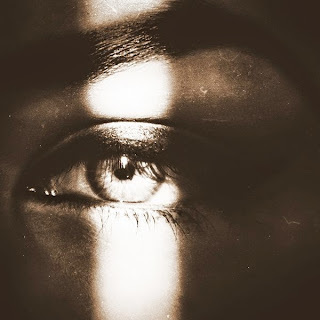 William Wilberforce once remarked, "You may choose to look the other way but you can never say again that you did not know.” We live in a society that has become good at 'turning a blind eye' to certain things. Most of the time it is because people just don't want to get involved or feel inadequate to help others in tough circumstances. 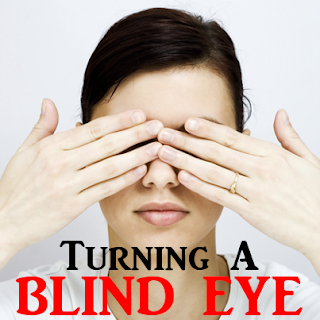 The thing is that Jesus never turned a blind eye to anyone or anything. It was not part of his nature. Let's take up the challenge not to turn a blind eye to things that are immoral, unjust and evil. Kids are very good at imitating what they see from us as parents, and what they see/hear around them. Sometimes this fills you with much pride and you catch yourself thinking, "wow, that's my boy!" However, there are times when we see/hear things that make us cringe and we wonder where they got that behaviour from. In truth, they probably saw something similar in us or from their peers. When this happens we are left thinking, "Whose child is this!?" The Apostle Paul reminds us that we are 'imitators' of someone or something. It is just up to us to choose to imitate Jesus. When we make this choose we will start to 'live a life filled with love'. So who are you imitating today? 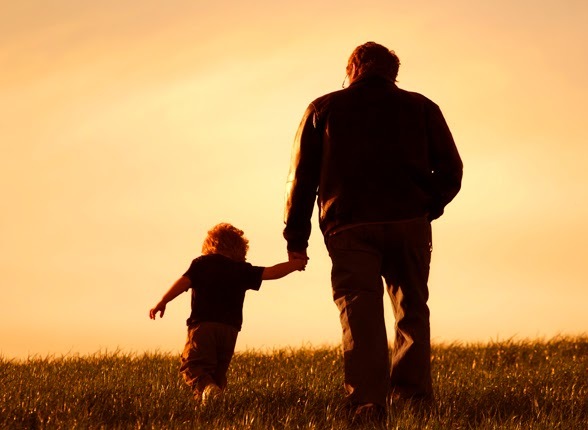 Follow God’s example in everything you do just as a much loved child imitates his father. 2 Be full of love for others, following the example of Christ who loved you and gave himself to God as a sacrifice to take away your sins. And God was pleased, for Christ’s love for you was like sweet perfume to him. If we aren't disciplined to do the small, important things, then we can't expect to reap any of the rewards later. The trouble is that we live in a quick fix society and we often want things without being willing to put the hard effort into the preparation. 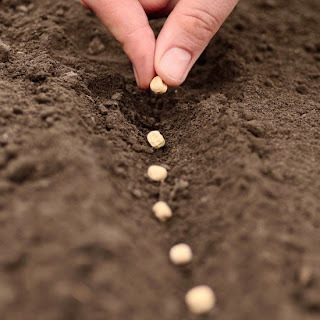 Any farmer will laugh at you if you expect to reap a harvest without actually planting seeds. You NEED to plant something! The same applies in the rest of our lives. If we want a meaningful relationship with God, then we need to plant some seeds. If we desire a healthy relationship with our family/friends, we need to do the small important things first. 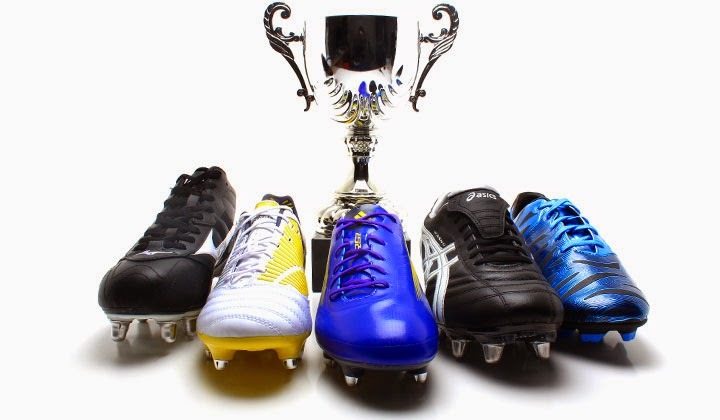 If we want to reap the harvest of competing in a sports event, we have to set the alarm clock to wake up early to train. I think you get it, don't you? You MUST plant something! So, what seeds are you planting today? What harvest are you longing for next season? 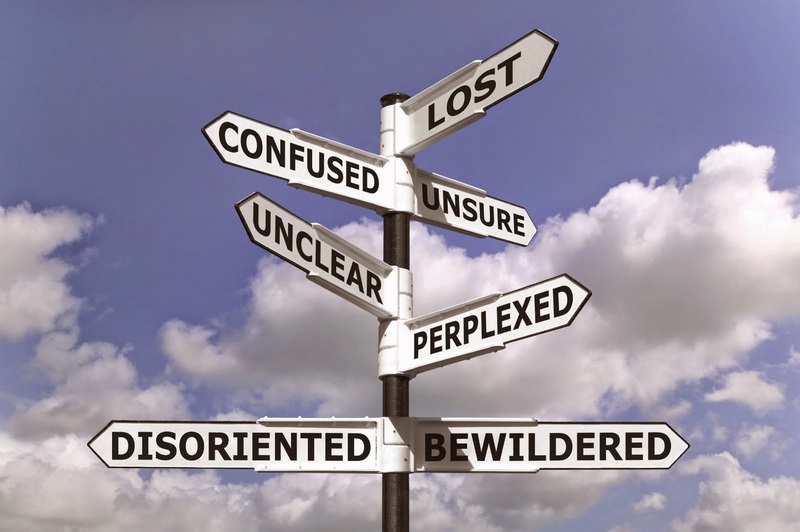 Have you found yourself in a situation where you haven't known which way to turn? In a sense you have felt lost or uncertain and the longer the situation carries on for, the harder things become? Well, if this is you, then take heart because God knows how you feel. Take a read of these words from Psalm 116. Take note of how you are not alone in your situation. May you find solace in the presence of Christ. If you don't know which way to turn, look a moment to look up and ask God for directions. On this day, St.Patrick's Day, it is good to remember the wonderful legacy he left for the Christians in Ireland (and the beyond). To remember the impact of this remarkable man, here are two prayers to reflect on. May you enjoy then and be blessed by them. Please feel free to forward them to someone who may need them today. And an answer for each prayer." In her awesome song, 'Setting up the Pins', Sara Groves reminds us that we can find God in the routine of our lives. 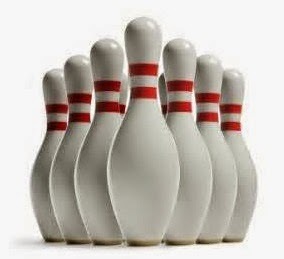 She compares our daily routine to a game of 'Ten-Pin bowling' - asking the very real question: "What's the point of setting the pins up and then knocking them down again?" There seems no point! However, as Christ-followers, we understand that there is always a point to our existence. We are created to glorify God and to worship Him through our lives. So, they may not seem like much of a point in doing all the "routine stuff", but if we do these things to honour God, then we are exalting God in all circumstances. Colossians 3:23-24 - "Whatever you do, work at it with all your heart, as working for the Lord, not for human masters, since you know that you will receive an inheritance from the Lord as a reward. It is the Lord Christ you are serving." So, perhaps the next time we are tempted to say, "what's the point?" may we realise that there is always a point with God. Why do you pursue me as God does? If you are feeling all at sea at the moment (or if you know someone who is battling) then the following words from Solomon will offer us some hope. Proverbs 18:10 - The name of the Lord is a fortified tower; the righteous run to it and are safe. In the midst of the storms of life run to the safety of the Lord. the proper answer of the tongue. Someone once said, "Life happens while we are busy making plans." It is true that sometimes we can over complicate and over-plan our lives, but it is a great discipline to at least have some direction for our lives. We may not succeed in some things if we have failed to plan. Planning is a vitual discipline to practise in all spheres of life. As Christ-followers we need to remember that God wants to be included in our planning process. God doesn't want to be tagged on in the end just as some kind of last resort. So whatever you are planning to do next, make sure that you have consulted your Heavenly Father first. Sometimes when our kids are sick they love to jump into bed and snuggle up to us. It doesn't happen as much any more, but on the odd occasion we notice they still like to do it. I believe it has to do with 'the human touch' - when we are not feeling great we need the comfort of another person. It doesn't change our situation, but somehow it makes our illness seem bearable. So when we are feeling spiritually 'out of sorts', why do we not do the same with Jesus? Why is it that we tend to withdraw from his presence instead of pressing into God's care? I recognise that we can't 'feel' God in the same way as we can experience the touch of another human being, but we can still rest in His presence. God is definitely there for us, in every situation - we need to believe in that promise. Psalm 73:28 - "But as for me, it is good to be near God. I have made the Sovereign Lord my refuge; I will tell of all your deeds." Have you ever woken up in the morning with a sore neck? It feels stiff and even just moving it a little bit is painful - you try to move it from side to side, but it doesn't seem to help. Can you relate to this in anyway? Well, God refers to the Israelites as a 'stiff-necked' people in a few places in the Bible. Take Exodus 32:9 as an example - “I have seen these people,” the Lord said to Moses, “and they are a stiff-necked people." I believe that God refers to them as 'stiff-necked' because they are unwilling to turn from their sins - they are stubborn and selfish. It is almost as if the Israelites have woken up and their necks are "frozen" in one place - and they are now looking in the wrong direction. They seem unwilling to change their mindset and to look to God. We can also be stiff-necked at times. We can also be stubborn and self-centred. We too can keep looking in the wrong direction. We too can look to our own devices and not to God. So the next time you wake up in the morning with a stiff neck ask yourself, "Am I a stubborn person? Am I willing to trust in God's ways and to fit in with his plans?" But, when was the last time you heard some good news? Is it possible that you could be the bearer of good news for some one else today? Sometimes friends try to console us by offering us these words of comfort, "I know how you feel?" or even "I know the feeling!" In some cases they may really "know the feelings" that we are experiencing, but more often than not, they don't. Job's friends certainly weren't able to tell him that they understood what he was going through, because they had never experienced the kind of pain and loss that he had. If one reads the comments of Eliphaz in Job 15, one can't but think, "thank goodness this guy isn't my friend!" His words don't offer much solace and they certainly don't even attempt to convey "I know how you feel!" "Do you listen in on God's council. I am convinced that we don't always need someone to tell us that they know how we feel, but rather that we need people who are willing just to walk along side us and to listen to our troubles. Action: Pray for someone who is going through a tough time today. Offer them the solace of Christ and the encouragement of the scriptures. Send them an encouraging verse right now and then say a prayer for them, as you send it. 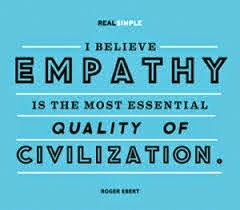 Roger Ebert - "I believe that Empathy is the most essential quality of civilisation." In the rush of our lives, we often miss the opportunities to encounter other people and to offer them God's grace. We are so introspective that we don't even notice the needs of those around us. Jesus encouraged us to 'love our neighbours as we love ourselves', which points us to look around at our 'neighbours' and to pay attention to them. When we offer God's love and grace to others we end up refreshing them and encouraging them on the journey of faith. 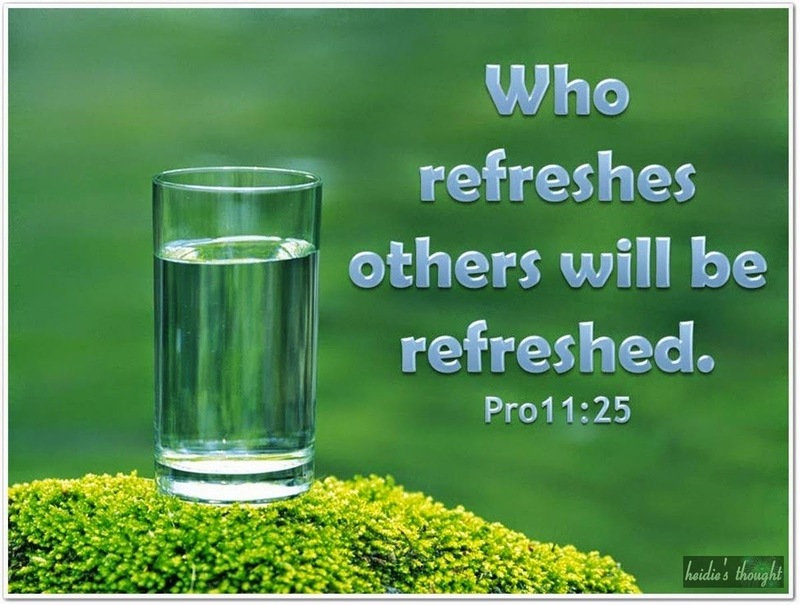 In doing this, we also end up being refreshed too. 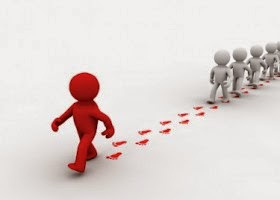 Action: Take a quick look around your circle of influence today. Notice who is around you and what some of their needs might be. 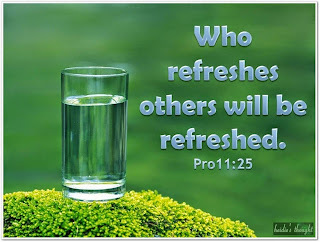 Is there a way that you might be able to refresh them with love and grace today? I took the boys to get their Rugby boots this weekend and after a few attempts we managed to sort them out. I was just reflecting on how they all have different sized feet, so they all need different sized boots. I know it sounds obvious, but I need to say it out loud - "one size would NOT have fitted all 3 of them." Sometimes we try and fashion our worship services, faith experiences and even devotional habits around a "one size fits all" mentality. This is not going to work. We are a all created uniquely and so we will respond to God in slightly different ways. Of course we can worship in community and still experience the same Spirit of Christ, but how we respond to Jesus will be unique to all of us. In this chapter, Solomon compares the acts of a person with integrity and then someone who is unfaithful and unrighteous. He mentions the word 'Duplicity' in these thoughts - which means being double minded or leading a double life. In order to be a Christ-follower we need to commit all our ways to the Lord. We can't lead a double life, pretending to be someone we are not. In the end, people who lead a double life end up tripping over their own lies. As we journey towards the Cross I invite you into a 'tough' reflection. Ask yourself if there is anything of a "double Life" in your heart. Do you pretend to be someone you are not? 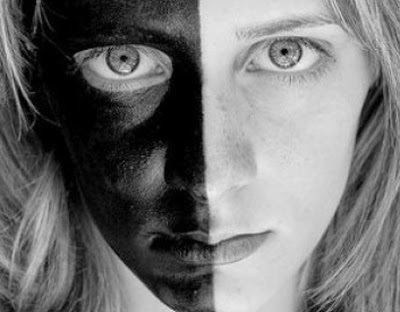 It is very tiring trying to be two different people. Be yourself and allow Christ to love you through His grace. 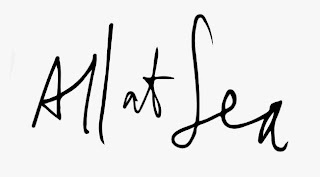 I have been down in Cape Town this week for some meetings - it has certainly been an interesting time and it is amazing how 3 days can make a difference in your world. Firstly, I arrived on Monday as Cape Town was burning - well, the forests around the city were burning and it was a scary thing. As I drove up Ou Kaapse Weg, smoke, flames and ash were evident everywhere. It was like driving through a movie scene. Then on Tuesday, Cape Town was literally the hottest place on the planet - at 42 degrees things were 'hotting' up all over the Cape. It was the hottest day in Cape Town in 100 years. It was surreal to be in the midst of record breaking temperatures and disaster zones. The one reflection that I take from these drastic events was a comment I heard on one of the local radio stations. One of the environmentalists was speaking about the 'positives' of the fires. 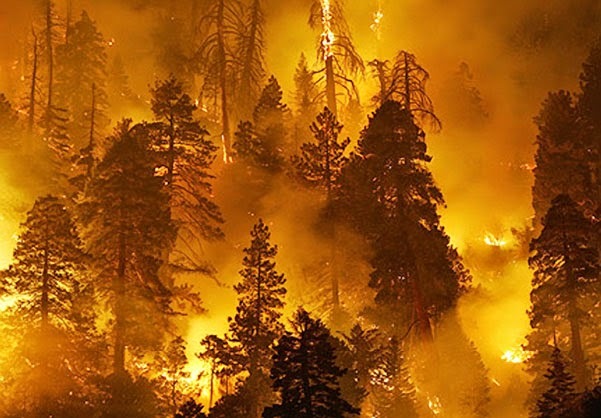 He remarked that despite the obvious loss of property, animal life and forests, the rest of the environment will bounce back from the fires. The fires will actually aid in new growth of the fynbos and for the environment, in the long term. At present it looks like 'hell', but in the future the area will be fine. It made me think about how we sometimes need to go through 'fire' in our lives/faith and how we often lament these moments. I know that I don't always see the bigger picture, but when we place our trust in God's hands, he always brings incredible new growth from the 'devastation.' So, the next time you face a firing trial, just hold on to what you can and then ask God to give you insight into his plans for the future. Will you destroy what you have made? Have you ever made something that you were proud of? It may have been a piece of pottery, furniture, needlework, knitting, painting, gardening, or something else. I know that when I have done this, I have stood back and felt a tinge of pride and joy. 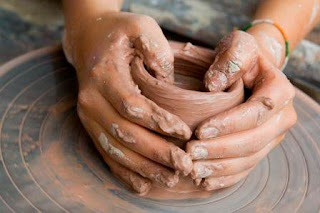 It is very rewarding to see the work of your hands. Now, let me ask you another question - after all the effort, care and love you put into your creation would you turn around and willingly destroy it? I know that I wouldn't! “Your hands shaped me and made me. This brings to mind our view of God. How do we picture God? Do we fear that the hands that made us would quickly move to destroy us? Prayer: As you pray this morning, reflect on your image of Jesus. How do you view God? 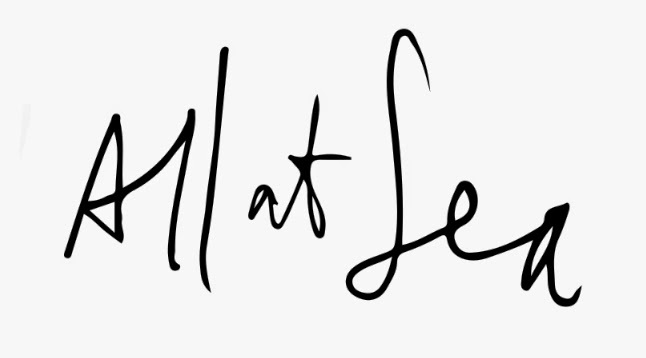 I encourage you to find something you have made and to look at it carefully. Image that God is now doing the same with us. Picture then how God would loving look at the work of his hands and do all he can to care for us. 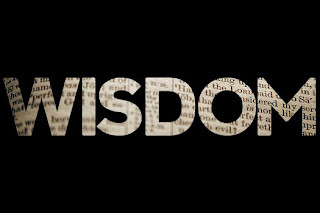 We trust that the Wisdom of God is 'profound' and 'vast'. We turn to God to guide our footsteps and to direct our lives. 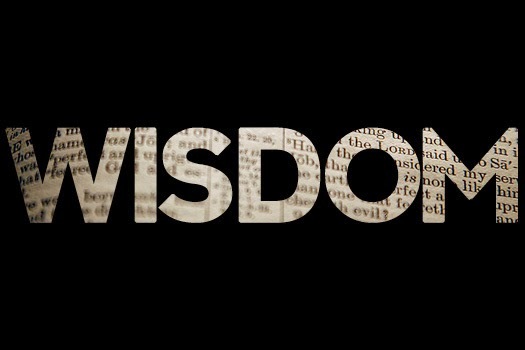 As soon as we willing live under the wisdom of God we invite deeper blessing into our lives. "The purpose of life is not to be happy. It is to be useful, to be honourable, to be compassionate, to have it make some difference that you have lived and lived well"